Choose an effective template for getting a scalable PrestaShop site for your business. The fate of eCommerce stores are becoming unpredictable due to the sky rise customer expectations and the emergence of various online stores around the world. There are various ingredients that make a wonderful PrestaShop site like themes, templates, modules and various other API extensions. If you want an eye grabbing website for your business, you need to start paying adequate attention towards templates that are the “basic building blocks” for a site. They are the skeleton frame around which an entire website is built around. It is the most important task that ensures the success of a PrestaShop website and thus needs appropriate attention during the development phase. 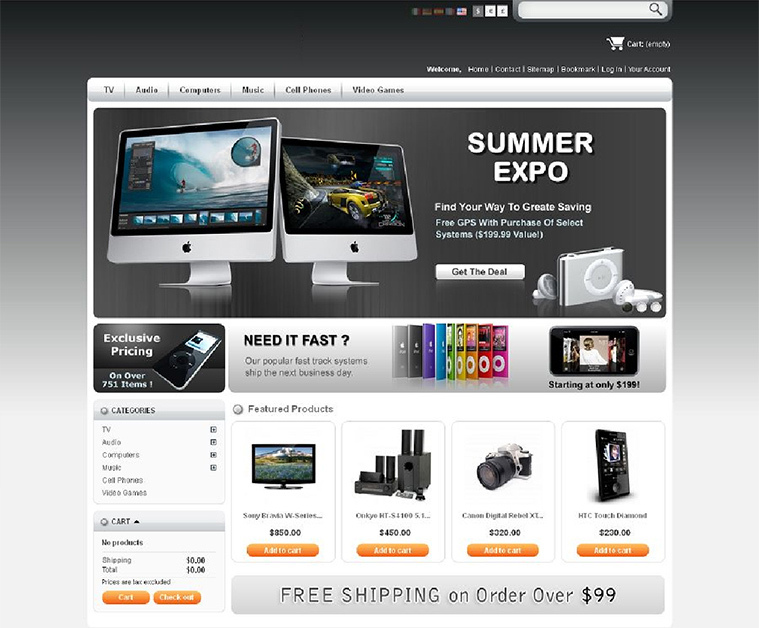 It is an inevitable part of every web development activity and determines the long term growth of an eCommerce store. We at Velocity can ensure an eCommerce website of your dreams with the unmatched PrestaShop template development services that are second to none in any aspect. Let us explore more about the outstanding template development services of our company that can deliver a power packed PrestaShop website for your business. If you are eager to build a robust and infallible PrestaShop website, you need to select a template that is having a flexible and user friendly interface. With the regular increase in customer demands and expectations, you can’t expect your website to fulfill all your business requirements without any hassle. There is a growing demand for adding new features and functionalities with the changing business environment which can be accomplished only if you are having the support of a competent PrestaShop template development services. We can provide you a template that can be easily modified with the presence of interactive admin control features. Online security is both the challenge and one of the top most priority for various websites that are involved in the eCommerce business or not. This security aspect becomes much more paramount in case of eCommerce sites as they involve online transaction that are made by customers in return for any product/services. With the vulnerability of internet, the fear of hackers can’t be ignored as they can malign the reputation, business and brand value of your company among your targeted customers. This is where our PrestaShop template development services can play a bigger role as they can incorporate various extensions, features and mechanisms to make your eCommerce site the first choice for online shopping. Cost cutting is the foremost mantra for various online business entities that are looking towards long term growth and expansion plan. Velocity believes in delivering out- of- the- box templates for your PrestaShop site that do not come with a “too costly” tag. With our vast expertise, knowledge about latest technologies and global exposure, we can provide you extraordinary templates that can be the “stepping stone” for great PrestaShop websites. You would be further amazed to know that all this can be achieved without losing your money in a lavish manner. If you are longing for a fruitful PrestaShop website for giving a new thrust and height to your eCommerce business, you need to go for the PrestaShop template development services of our company, Velocity. To realize your dream of an feature packed PrestaShop website, you can contact us at +91-120-4243310 or can send us a mail at inquiry@velsof.com. We will employ the best minds of our company to provide you a website that could satisfy your business requirements as well as the expectations of your customer.